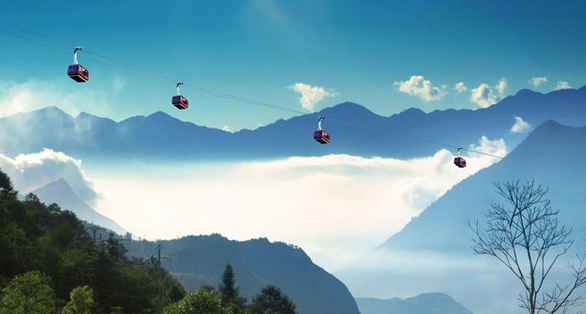 As of May 11, 2013, cable car to the top of Fansipan was inaugurated on the morning of February 2. This is a modern three-wire cable, the first in Asia presence. The total investment in the first phase of the project is 4,400 billion VND. The distance from the Muong Hoa peaked go through 6 main pillars, each pillar being 1 km. 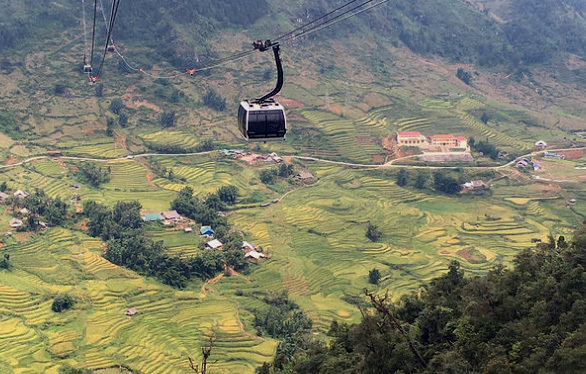 The Guinness Book of World Records has awarded two Guinness certification for the Fansipan Sapa, including a three-wire cable car station and the difference between the world’s largest arrivals (1,410 m) cable cars and the world’s longest three-wire (6292.5 m). Each cable car cabin can accommodate up to 35 guests, with a transport capacity of up to 2,000 people per hour. The time to go to the gas station to just 15 minutes.